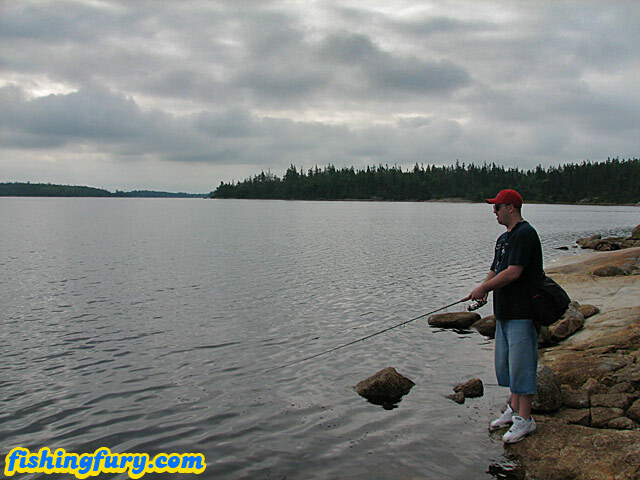 Long Lake, Nova Scotia | FISHING FURY - A Fishing Blog with Attitude! Despite being very busy working two jobs, I manage to fish at least 3-4 time a week. Granted, I rarely have the chance to fish for more then an hour. I get an hour long lunch and I work right beside a good size lake that has a healthy population of bass and trout so I really have no excuse not to fish regularly. With an 11 month old baby boy nearing his first steps, I try to spend ever minute I’m not working hanging out with him. Luckily he takes long naps, and goes to bed at 7pm, so I sneak in a couple of hours of fishing before sunset on most weekends. Last weekend I introduced my buddy Adrian to a new lake called Long Lake. 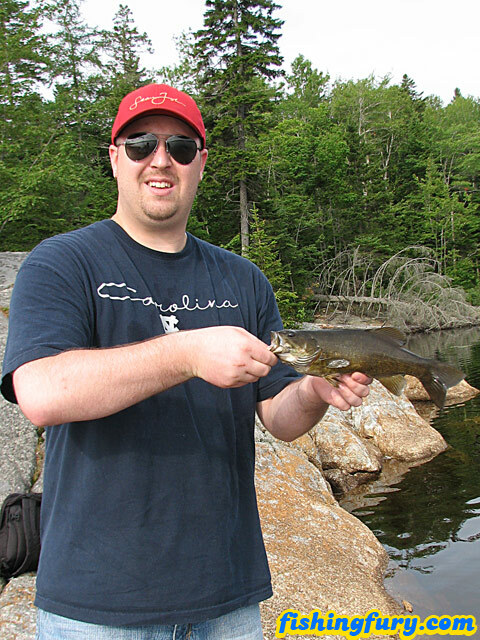 We have fished several local lakes in the Halifax and Dartmouth area and I think we can both agree that Long Lake is our new favorite. 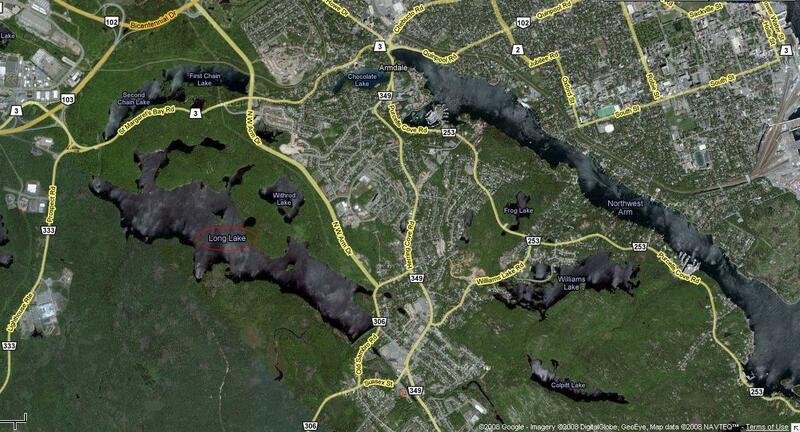 It takes me about 10 minutes to get to Long Lake from my apartment in Halifax and is an ideal lake for a shore fisherman. The lake is full of good size bass too. We didn’t catch any huge fish, but the fish we did catch were consistently larger then the fish we’ve caught in any of the other nearby lakes. The key to finding bass was to look for deeper areas near large rocks. The south side of the lake had the deepest spots and produced our biggest fish. We both fished with spinner baits, Adrian going with the old reliable Mepps Black Fury, while I used a silver mini Rockstar spinner. We each caught 8-9 bass and called it a day. Yellow is my all time favorite, followed by chartreuse. I’ve been using the red ones here recently and they have done well too. Yellow has caught me more fish then any other by far, so I guess its my top choice and the fishes too. Is this lake decent for trout trolling or more of a bank fisherman spot? I am more than happy to do either or both. I haven’t caught a trout in Long Lake yet, but I’m sure they are around in the deeper water, so in theory, trolling should be productive. I’ve been limited to shore fishing, and never seen any boats beyond a canoe on the lake. There is definetly a healthy population of bass to catch. Although most are small, you’ll get the ocasional 3-4lber if you’re lucky. I happen to live nearby long lake 10 min walk was wondering if you have some locations for rivers attached to the lake perhaps i can seek some trout out there? Gonna give er a try today for some bass…. I heared from the booklet that i got with my fishing license that you are not allowed to fish in long lake because it is a water shed, I am getting mixed stories, so if anyone couldh elp me that would be great. Is that an older book Sarah? 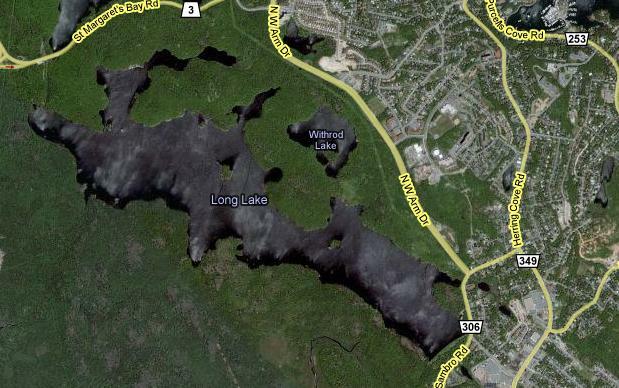 Currently the Chain Lakes are water sheds for Halifax. There are constantly boats and dogs swimming in Long Lake, which would not be allowed if it was still used as a water supply. I have been fishing long lake for over 43 years , and enjoy the lake more each time i go there. less than seven years ago there were no bass in long lake , just nice healthy large speckled trout . there are still pleanty of trout , but the smallmouth bass are prevelent. The backside of the lake has a small river running into it, which is one of the nicest fishing spots on the lake .We catch lots of nice large speckled there and they are as pink as salmon . The lake used to be watershed , but has been a provincial park now for about twenty years . I’ve fished Long Lake since I was roughly 6 years old. Over the past few years, the small mouthed bass have taken over. HOWEVER, there are still some nice sized trout in the lake. 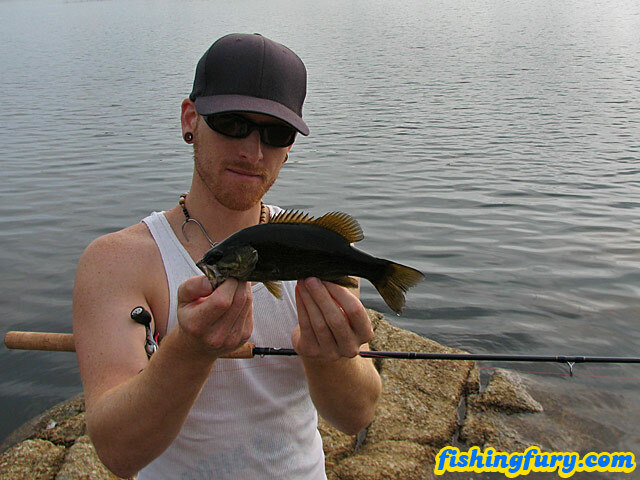 Most shoreline fishing will only get you bass, and the occaisional Pirch. My favorite thing about long lake is that, depending on what side of the lake you’re at, there’s fairly quick access to Withrod Lake. Withrod lake, as opposed to Long Lake, is a clear water lake. There are ALOT of speckled trout in it, but just as with Long Lake, your best chances are with a boat. I caught a decent 13″ Speckled trout from the shore of Withrod Lake last year, and form the backside of the lake, could watch the trout following my lures right into shore. The downfall/upside to Withrod Lake is that there are no known bass as of yet. I say downfall/upside because if you’re just out with some friends that don’t fish often, Long Lake’s bass population will keep everyone interested. However for the experienced anglers that don’t mind hours with no catches, Withrod’s lack of bass allows for new spawns of trout each year. Panther Martins tend to be my favorite lure PERIOD in ANY lake that I fish. The bass in Long Lake LOVVVVVE the “White Worm jig-heads”, which is great because a pack of 5 is only abotu 3 dollars, so if you’re fishing from shore (very rocky shorline) it’s not much of a loss if you lose your hook. Hope this helps, and happy fishing!